The interview was a rare look at how the Romneys live their more usual life off the campaign trail. While the affluent home in the exclusive setting of New Hampshire’s Lake Winnipesaukee can hardly be described as representative of the everyday life of most middle and lower class Americans, this inside look at life with the Romneys provided at least some evidence that despite their wealth, the Romney’s don’t avoid the everyday trappings that come with life in a large family. 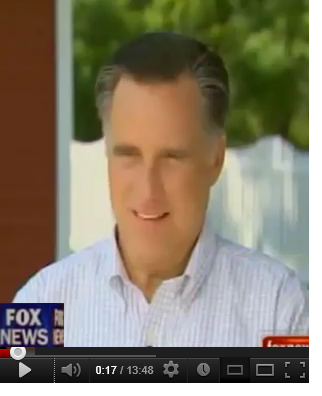 Granted, the Romneys at least seem to be a bit more functional than the average dysfunctional family but this pleasant interview with Chris Wallace did demonstrate that even though Mitt Romney’s pants may be a bit more expensive than those worn by you and I, he still puts them on one leg at a time. Then again, as noted by Ann who recently bought Mitt a package of three button down shirts from Costco, not all of Mitt’s pants are as high priced as we may assume. George Stephanopolous probably thinks he’s a pretty smart guy. At least he didn’t call Michelle Bachmann a flake. But his attack on her facts about our founders just might backfire against his own credibility. For most, it really is no secret that many of our founding fathers did oppose slavery. Even the ones who owned slaves saw it as more of a necessary evil. To borrow from Hillary Clinton, who said this about abortion, they believed it was “horrible and tragic, but should be safe and legal”. They understood though, that if they tried to fight the revolutionary war and civil war at the same time, they would lose both. Still, they did fight to end slavery, even if only laying the groundwork for it’s final elimination. John McCormack, writing in the Weekly Standard, is now demonstrating that Abraham Lincoln believed the same thing as Michelle Bachmann about our founder’s work to end slavery. He used that argument in his own speeches against slavery. The founding fathers, said Lincoln, had opposed slavery. They adopted a Declaration of Independence that pronounced all men created equal. They enacted the Northwest Ordinance of 1787 banning slavery from the vast Northwest Territory. To be sure, many of the founders owned slaves. But they asserted their hostility to slavery in principle while tolerating it temporarily (as they hoped) in practice. That was why they did not mention the words “slave” or “slavery” in the Constitution, but referred only to “persons held to service.” “Thus, the thing is hid away, in the constitution,” said Lincoln, “just as an afflicted man hides away a wen or a cancer, which he dares not cut out at once, lest he bleed to death; with the promise, nevertheless, that the cutting may begin at the end of a given time.” The first step was to prevent the spread of this cancer, which the fathers took with the Northwest Ordinance, the prohibition of the African slave trade in 1807, and the Missouri Compromise restriction of 1820. The second was to begin a process of gradual emancipation, which the generation of the fathers had accomplished in the states north of Maryland. The argument of “Necessity” was the only argument they ever admitted in favor of slavery; and so far, and so far only as it carried them, did they ever go. They found the institution existing among us, which they could not help; and they cast blame upon the British King for having permitted its introduction. BEFORE the constitution, they prohibited its introduction into the north-western Territory—-the only country we owned, then free from it. AT the framing and adoption of the constitution, they forbore to so much as mention the word “slave” or “slavery” in the whole instrument. In the provision for the recovery of fugitives, the slave is spoken of as a “PERSON HELD TO SERVICE OR LABOR.” In that prohibiting the abolition of the African slave trade for twenty years, that trade is spoken of as “The migration or importation of such persons as any of the States NOW EXISTING, shall think proper to admit,” &c. These are the only provisions alluding to slavery. Thus, the thing is hid away, in the constitution, just as an afflicted man hides away a wen or a cancer, which he dares not cut out at once, lest he bleed to death; with the promise, nevertheless, that the cutting may begin at the end of a given time. Less than this our fathers COULD not do; and NOW [MORE?] they WOULD not do. Necessity drove them so far, and farther, they would not go. But this is not all. The earliest Congress, under the constitution, took the same view of slavery. They hedged and hemmed it in to the narrowest limits of necessity. In 1794, they prohibited an out-going slave-trade—-that is, the taking of slaves FROM the United States to sell. In 1798, they prohibited the bringing of slaves from Africa, INTO the Mississippi Territory—-this territory then comprising what are now the States of Mississippi and Alabama. This was TEN YEARS before they had the authority to do the same thing as to the States existing at the adoption of the constitution. In 1800 they prohibited AMERICAN CITIZENS from trading in slaves between foreign countries—-as, for instance, from Africa to Brazil. In 1807, in apparent hot haste, they passed the law, nearly a year in advance to take effect the first day of 1808—-the very first day the constitution would permit—-prohibiting the African slave trade by heavy pecuniary and corporal penalties. Is Cain Trying in Iowa? No, if you believe his now former Iowa director Tina Goff and Kevin Hall who was in charge of coordinating for the Iowa straw poll in just over a month. Jim Zeiler has also left the Iowa staff and Cain lost his New Hampshire director earlier this week. When it comes to managing a campaign, things are not looking good for Cain. On the other hand, Cain is looking good in the Iowa polls. 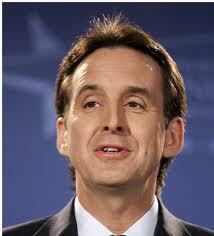 Most recently he came in second only to perpetual front runner Mitt Romney and remade Michelle Bachmann. Will the Guiliani gamble work for Cain? 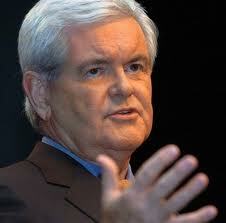 The problem is that Cain has not done or said anything to differentiate himself from Michelle Bachmann. Going into this race he had perhaps set himself apart as a more “serious” candidate, and certainly took on early momentum from the TEA Party. But Bachmann easily out-shined him in the debate and continues to make the right steps even in the face of extreme character assassination. 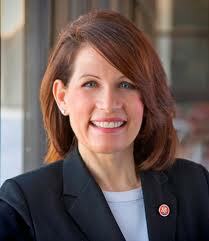 Bachmann’s successes have made her detractors appear to be less “serious”. 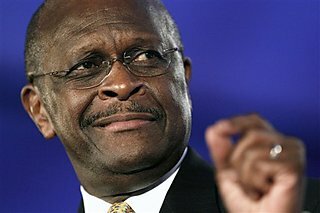 In the meantime, Cain is reducing himself to soundbite worthy quips and small government platitudes while his substance seems to be a foggy mirror of the clarity Bachmann has produced. The result is that Cain is quietly slipping into the shadows where other candidate copies, like Gary Johnson (generic brand Ron Paul) and Jon Huntsman (Mitt Romney clone only the media is excited about) reside. 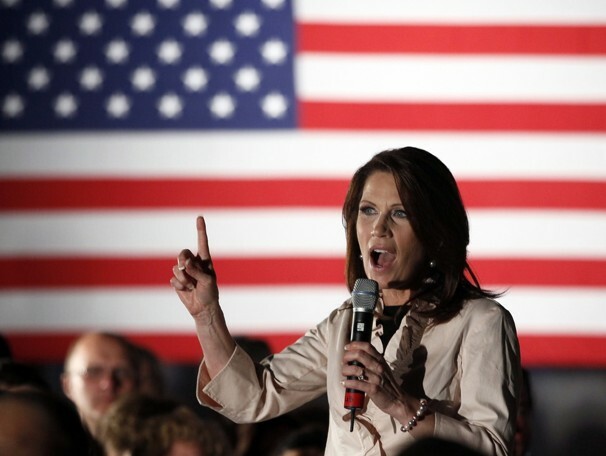 Bachmann is quickly taking the TEA Party energy. In some ways, Cain brought this on himself. His radio host style speeches leave little substance to hang one’s hat on and his brief handling of gay marriage in the debate has alienated him from the religious section of the TEA Party. In addition, at times he has seemed clueless on some of the more detailed issues such as right of return for a Palestinian state. This still puts him miles ahead in knowledge from someone like Joe Biden who wanted a three state solution for Iraq. Cain does have one demographic that still turns out strongly in support of him, and that is the African American conservatives, moderates, and independents. Many of these who helped turn Florida blue for Barack Obama and are now disenchanted with his policies are indicating strong support for Cain. Whereas Iowa is turning out to be a fiscal versus social conservative battle between Romney and Bachmann, all important Florida may end up being a fiscal versus social conservative battle between Romney and Cain. Real Clear Politics shows Cain in second place to Romney in Florida out of current candidates, but large percentages going to Huckabee and Palin. It will be interesting to see how those Palin and Huckabee supporters break by the time we reach Florida. It won’t be for Mitt Romney. If Cain can survive until Florida and then capitalize on it, losing Iowa might not be that big a deal. Then again, perhaps he should talk to Rudy Guiliani about that strategy. I have stopped predicting who will enter the race for the Republican presidential nomination. After seeing names like Pence, Thune, Barbour, and Huckabee, all shy away from a bid for the nomination and after being convinced that Mitch Daniels would run, only to find out that he won’t, I have stopped trying to figure out what any other potential candidates will do. This is especially so concerning former Alaska Governor and vice presidential nominee, Sarah Palin. Pain is a master at throwing people off guard. She relishes her ability to befuddle the media that tries to follow her every move and she holds her cards close. However, in a rather extensive 25 minute interview with Chris Wallace on Fox News Sunday, Governor Palin sounded like someone prepared to challenge President Obama in 2012. Palin came across as calm, cool, and in command of the issues. Her opinions were also presented in a way that made her come across as a populist with a common sense conservative approach to the problems being denied by our President, but understood by the people. Palin sounded most like a presidential candidate when host Chris Wallace asked the former vice presidential nominee, “What would President Palin do, specifically, to boost the economy? 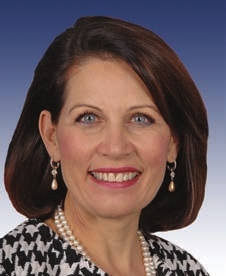 Another telling point came when Wallace pointed out that Palin and Bachmann are both popular TEA Party figures as well as social conservatives and as such, asked Palin if there was room for both her and Bachmann in the race, or would they split the same base of support between them? Here , Sarah Palin gave a response that may have offered a “between the lines” interpretation indicative of her sense that she fully expects to become a candidate. That segment of the interview can be found at almost the very end of the video at about 23 minutes, 30 seconds in to it. While I once leaned towards believing that Palin was not going to run for President, the last month has made me begin to think that she might actually go for it. For a while, she was suspiciously absent from the political scene as she laid relatively low. For me, that was a sign of Palin preparing for something big and trying to not overexpose herself too early. Now, while Palin vigorously argues that she is simply celebrating our American history, her recent bus tour for that purported purpose, offers up an oddly timed, campaign-like experience, that affords her valuable attention. Now we can add to that this nearly half hour long interview, an interview in which Palin talks about decisions that would come from a “President Palin”, and discusses room in the race for her and other candidates, so matter-of-factly, that it almost sounds as though she is welcoming candidates to challenge her for the nomination. But I am still not getting my hopes up. The positive potential that I believe exists in a Palin presidential candidacy is endless. In 2008, I was part of a movement to nominate her for Vice President and became one of the happiest people in the world of politics when she actually was nominated. I believe it was the only smart decision made by John McCain and his campaign. However; I do admit that since then, Palin has been somewhat marginalized by a vindictive, liberal element and relentlessly brutal media. To a degree, her image was damaged and her negative ratings surpassed her positive ratings. But I also believe that if Sarah Palin can transition from playing the role of Republican cheerleader to Republican statesman, she could easily turn those ratings around. All Palin needs to do is come across a bit more Thatcher-like than pop star-like, and she could easily become America’s “Iron Lady”. This latest interview was a step in that direction.